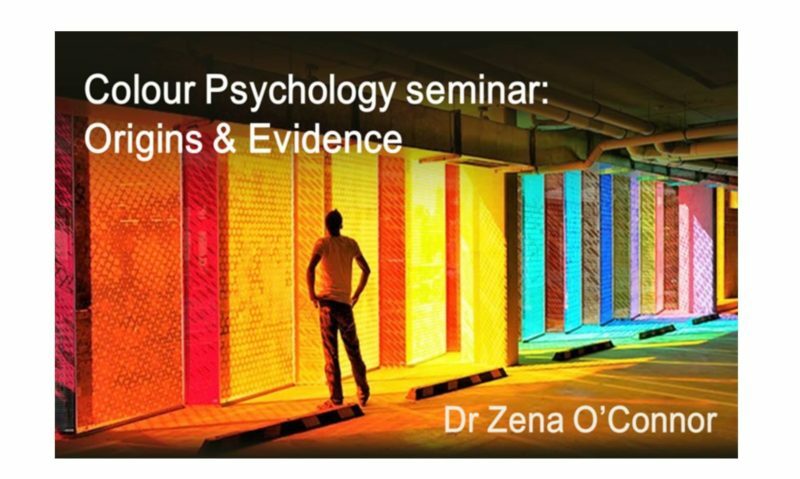 This 3 hour Colour Psychology seminar blends evidence-based colour psychology theories, practical examples and interactive exercises. The diverse origins of colour psychology theories are examined including the many exponents of colour psychology, some of whom were jailed for fraud. Takeaways include effective evidence-based colour strategies for marketing, design, and the built environment. In this seminar, participants find out how colour can not only attract attention and create differentiation, but also convey meaning, encourage engagement, support orientation and way-finding, and help achieve communication and behavioural objectives. This seminar is essential for anyone who uses colour in design, marketing, advertising and the built environment. For architects and designers, this seminar attracts 3 CPD points. Understand the complexity of the interface between colour and human response and the factors that influence this interface. Understand the diverse origins of beliefs about colour psychology. Examine evidence-based information about colour psychology and how it has been applied – practical solutions for real problems in applied design and the built environment. I found your seminar to be well paced with rich and useful information. The visuals were very good. Thank you Carol-Ann. I’m glad you enjoyed the seminar and I found your input really interesting and I’m sure others in the class did too. I really liked the way you dispelled/debunked the myths and then presented the evidence-based theory. The handouts and visuals were excellent. Thank you Melissa! It was great to have you as a participant and I really enjoyed your input. Hi, are you planning on doing this seminar in Melbourne?